Or are you there to confuse? Huggable and light as air. Or just perch there for a nap? With spiky fruit and tree esprit? You cannot be just a shrub! You keep your secrets, that’s the rub. 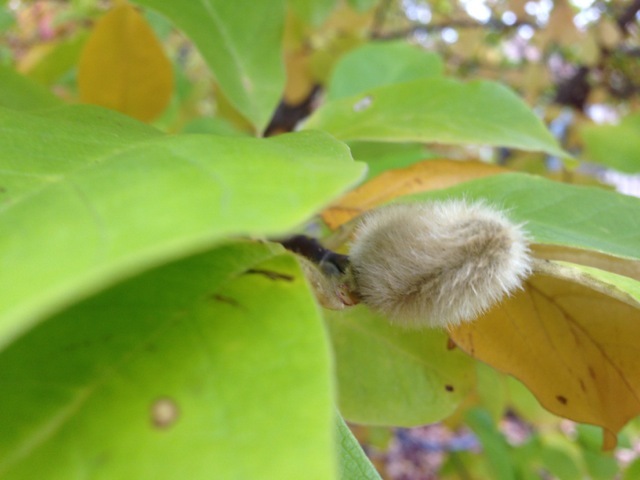 Note: I have been trying to get a catkin in focus in a photograph for over a year! Woo-hooo!! They certainly are adorable, and then I ruined the whole effect because silly me had to look up the definition and it turns out there are all kinds of catkins on all kinds of trees, and very few are fuzzy : ( . The rest are just long and kind of boring-looking. But never mind, because then I just came back here and read your poem again, and now I’m feeling all warm and fuzzy once more : ) Thank-you Brenda. Lovely to see a picture of these actually in focus – so far I’ve failed. We get ours just before Easter – three trees full along the beck, but I didn’t really believe you could get an in focus photo – maybe this Easter – now I know it’s possible! Oh sorry, got distracted, love the poem! LOL I do think getting the thing in focus was the bigger triumph. oh, i love those little catkins ! I have never seen such a creature. Wow. Love this poem of yours, as well. Cute, yes? Mother Nature is amazing. Have a great weekend! Definitely looks like a teeny tiny teddy!